We have a large range of clearspan marquees whice are 100% flexible allowing us to build in either 6m or 9m bays so can taylor the size of marquee to the size of your event allowing you to maximize all available space. Clearspan is an aluminium framed rectangular marquee with high quality and high density canvas suspended from the roof beams and legs. 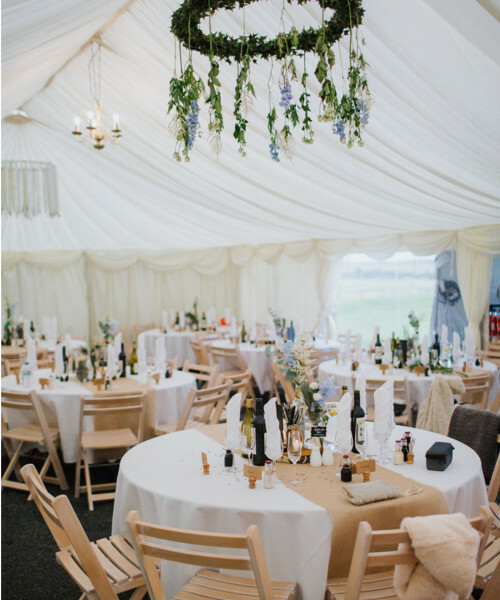 There are no guy ropes or internal poles required, allowing for maximum capacity of all the different marquee structures. 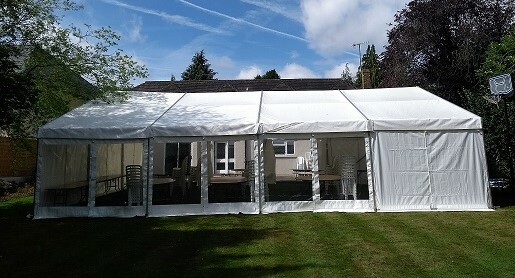 This style of marquee can be built on to the side of a building, and over patios should you wish to have the marquee attached to a property. 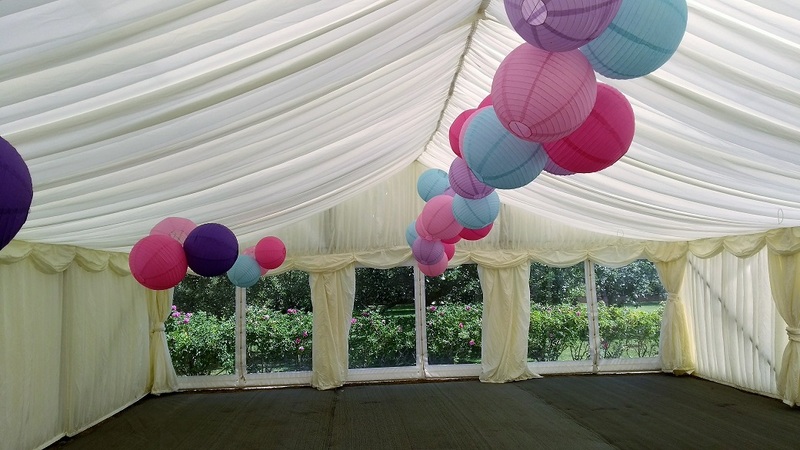 For a really sumptuous look and feel, we can also add linings and/or starlight cloth which is a popular choice for weddings and special parties.